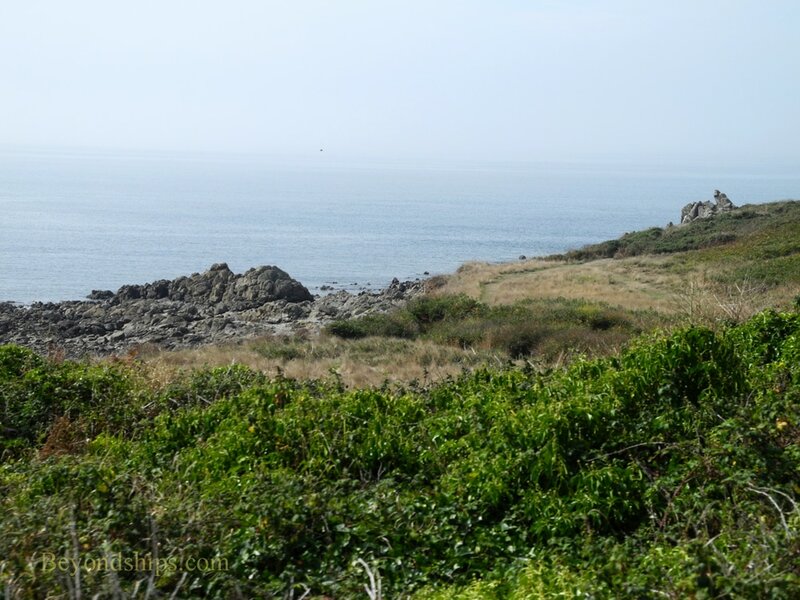 Guernsey has an extensive and varied coastline. 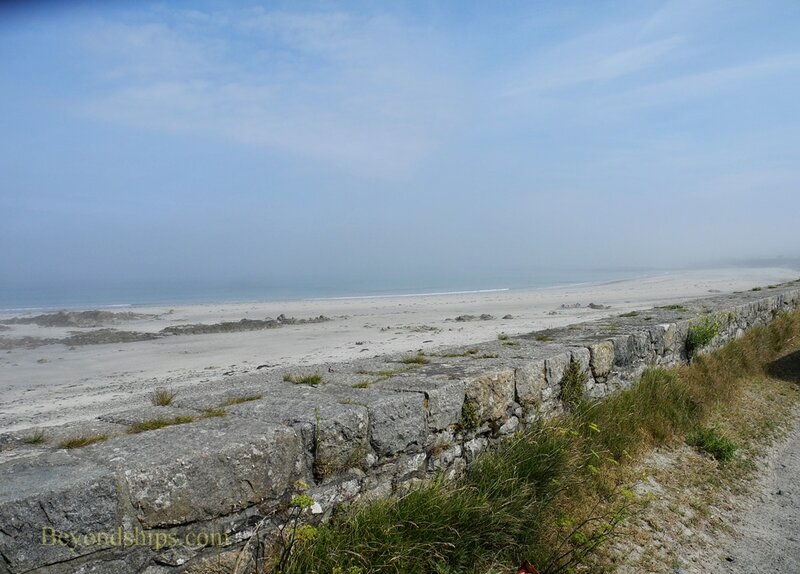 Along its coasts are sandy beaches, dunes, rocky crags, cliffs and secluded coves. Much of this area is undeveloped and thus of interest to naturalists and hikers as well as to those looking for a beach holiday. 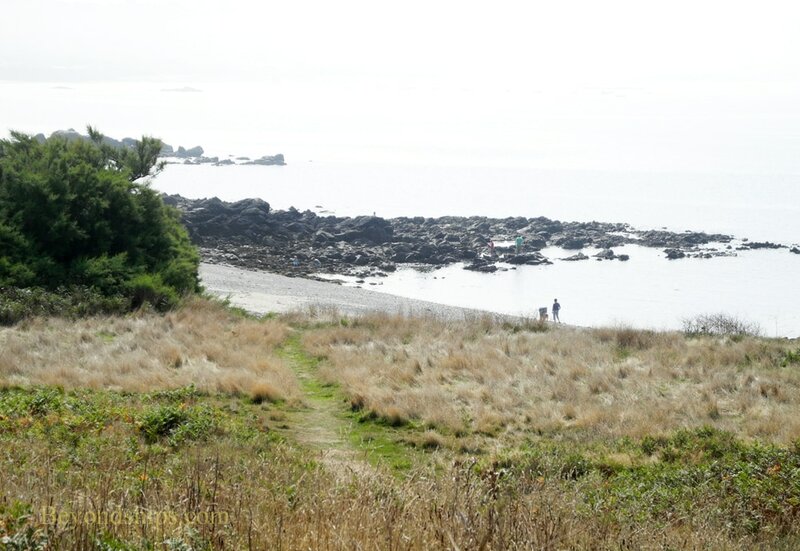 Three beaches that have received prizes are L'Eree, Grandes Rocques and Port Soif. Guernsey's location has made her subject to attack by Britain's continental enemies. For most of her history, the threat came from France. Later, it came from the Germans. Remnants of military fortifications built by the British and/or the German occupation force dot the landscape. Fort Sausmarez is an example of both British and German military engineering. 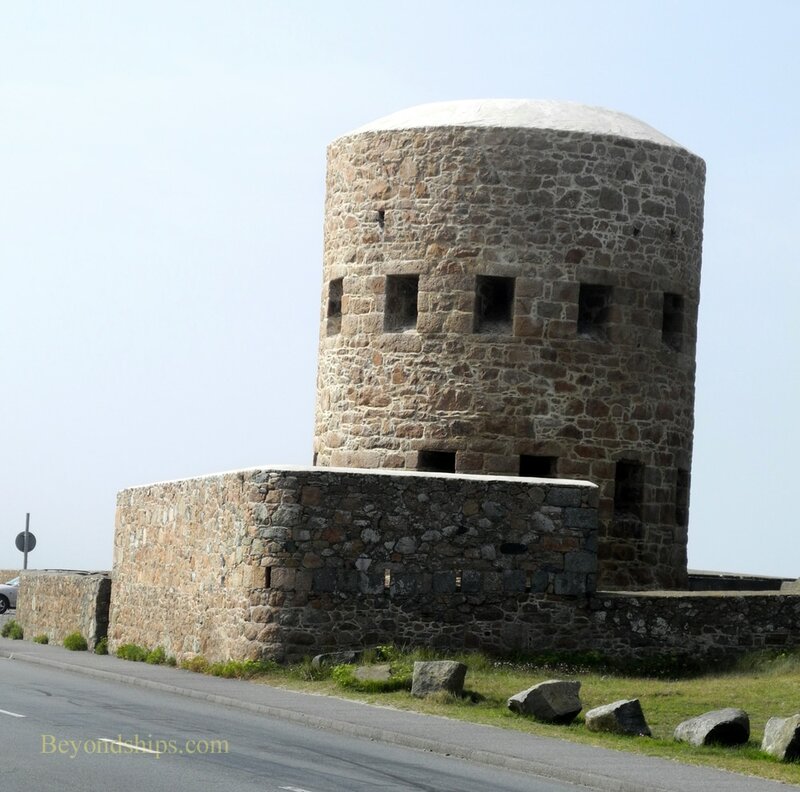 In 1804, the British built a Martello Tower to defend against a possible French attack. 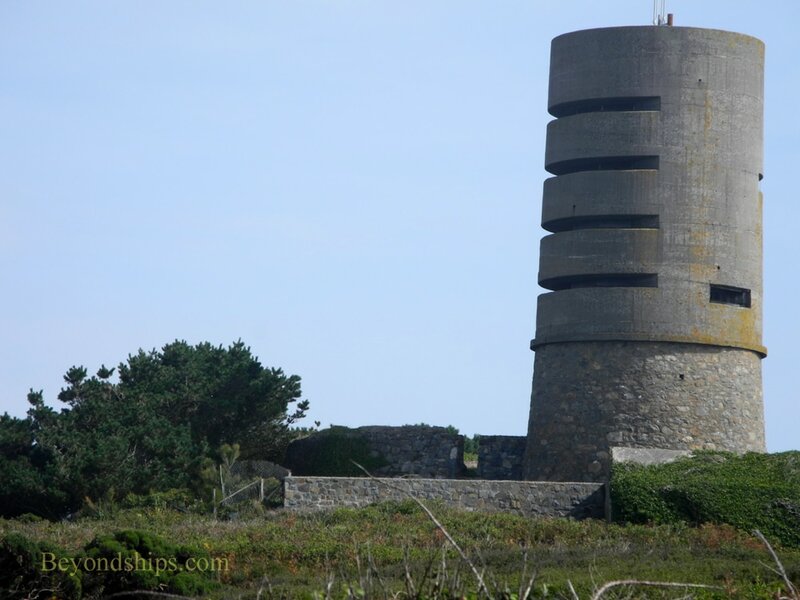 When the Germans occupied the island during World War II, they realized the strategic value of the location and built a four story concrete observation tower atop the original British tower. They also demolished some of the nearby 19th century fortifications and built some that were more attuned to 20th century warfare. This site is not open to the public but the stark, menacing tower can be seen looming over the countryside. A similar German observation tower at Pleinmont is open to the public. The western coast of Guernsey can be quite treacherous for ships. Appropriately, a museum has been built there in order to tell the story of the shipwrecks and exhibit some of the artifacts taken from ships that wrecked along the Guernsey coast. 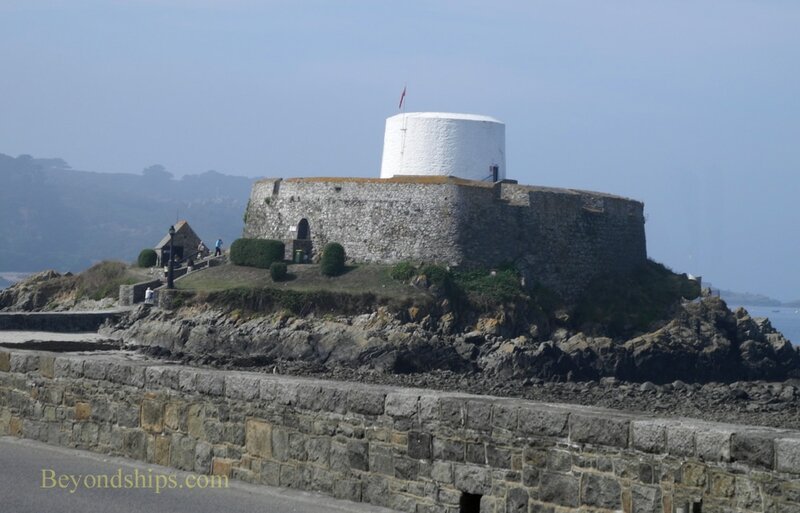 The museum is housed in a Martello Tower built during the Napoloeonic period to help defend the island from the French. Fort Grey is affectionately called the “cup and saucer” by locals because of its shape. The white tower in the center of the walled fortress was originally the keep housing the fortress' defenders. During the German occupation, the fortress was once again armed and used for military purposes. 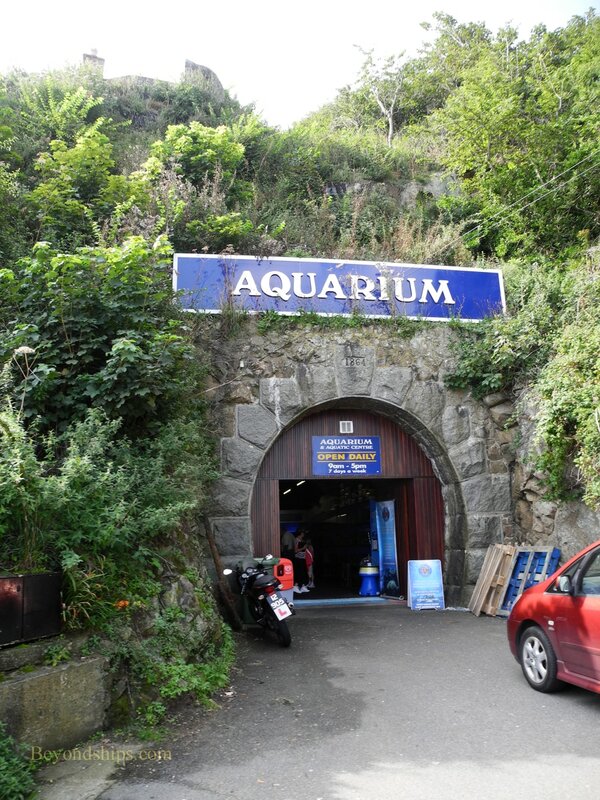 In 1967, portions of a German tunnel system in La Vallette south of St. Peter Port were converted into the Guernsey Aquarium. It contains some 50 displays that include local fish and marine life as well as endangered species and marine life from around the world. 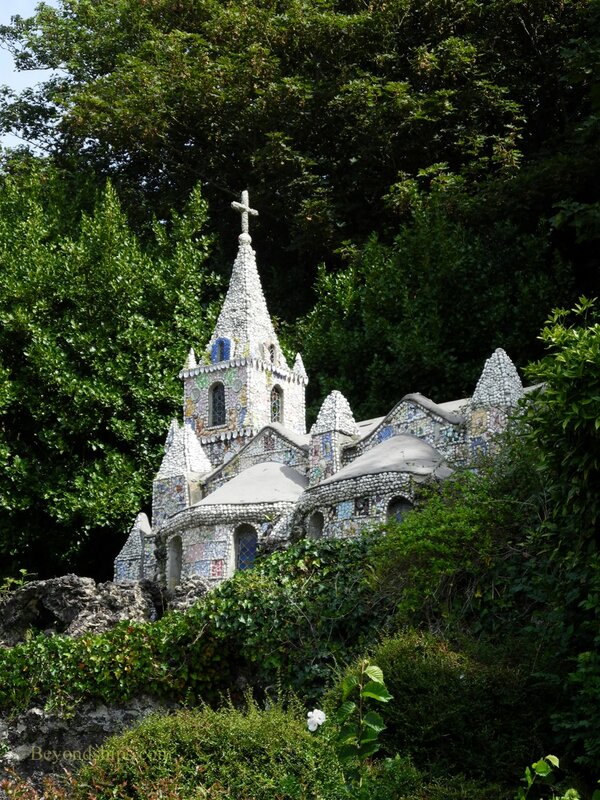 Guernsey does not have any great stately homes of the nobility like those in England. However, Sausmarez Manor is a historic manor house, home of the distinguished Sausmarez family. (See separate article). ​The Guernsey shoreline is quite varied. Above: A German bunker built atop a Martello Tower at Fort Saurmarez. Below: A Martello Tower turned into the Ship wreck Museum. Above: One of 15 loophole towers built in the late 18th century to defend the island from the French. Below: A German military tunnel system has been converted into the Aquarium.